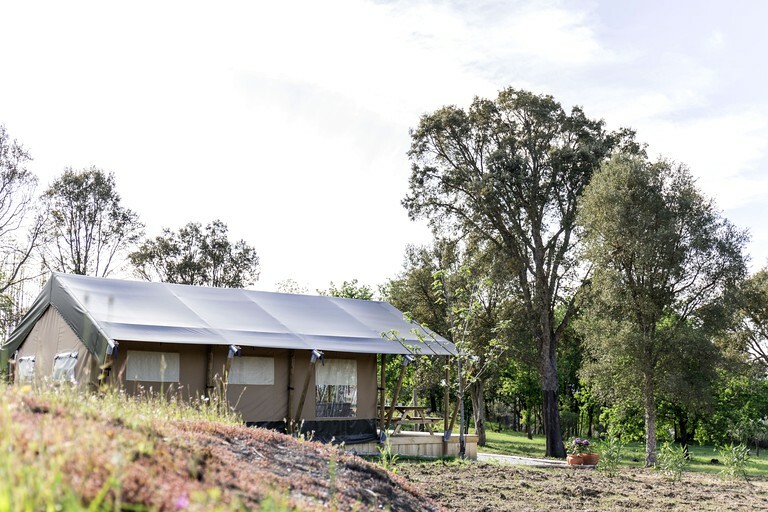 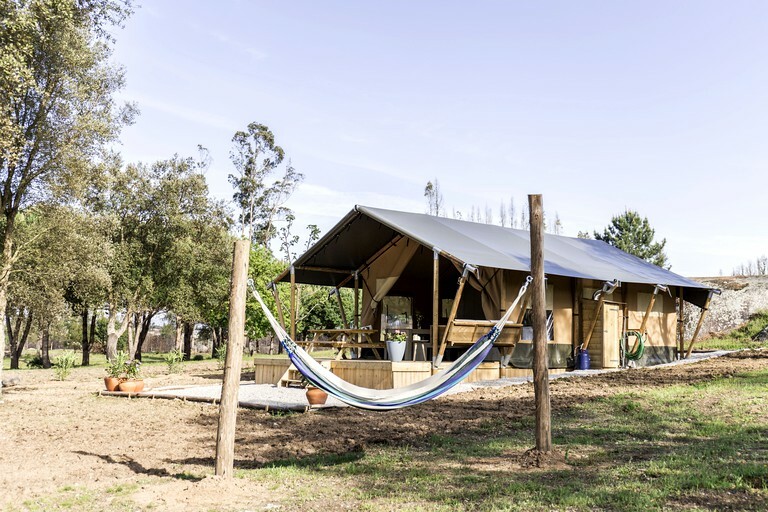 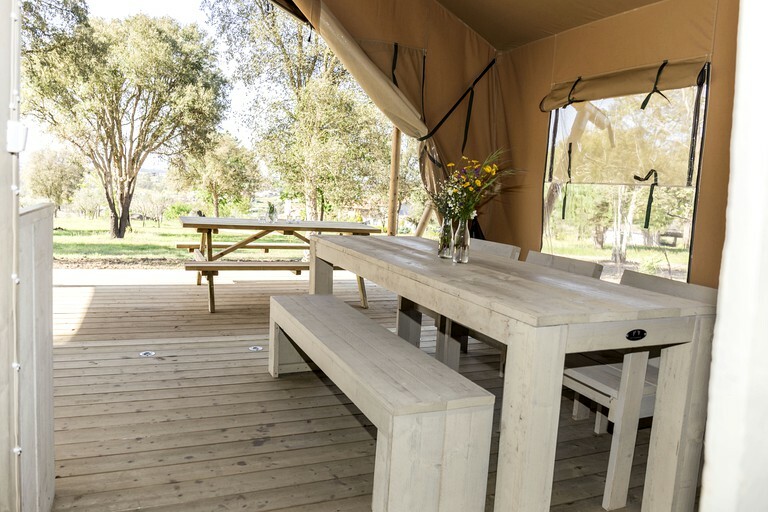 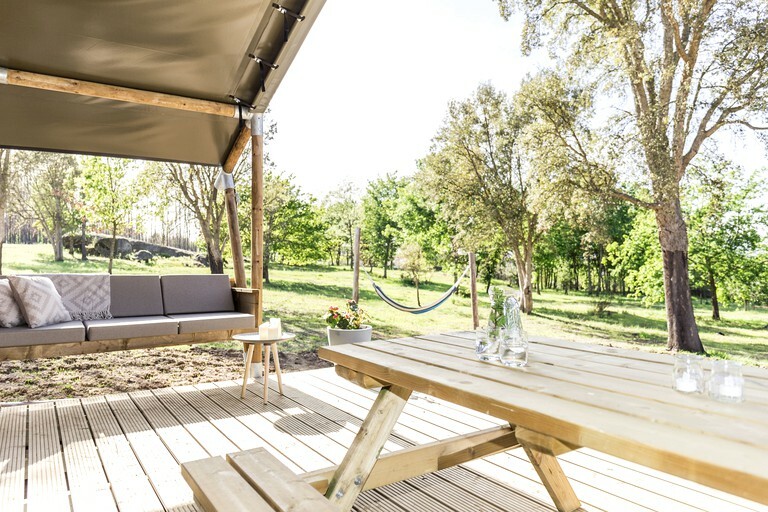 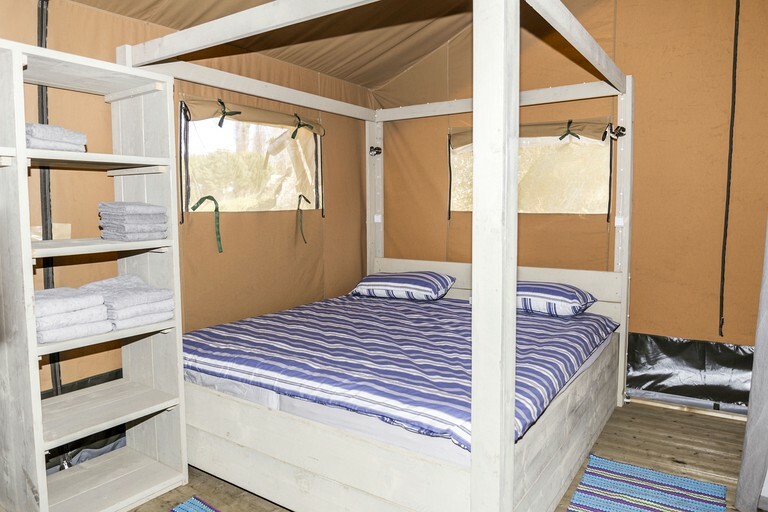 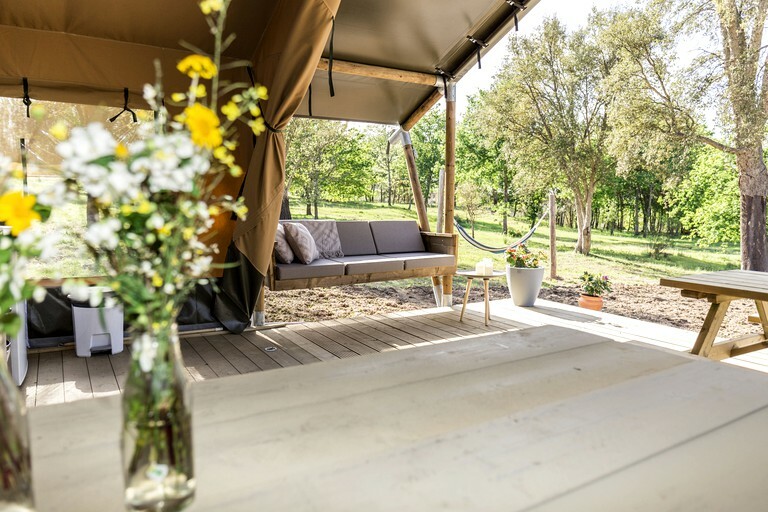 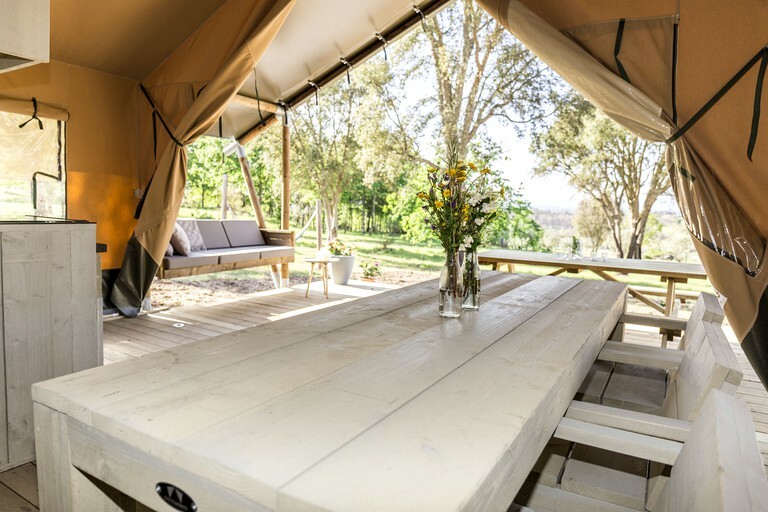 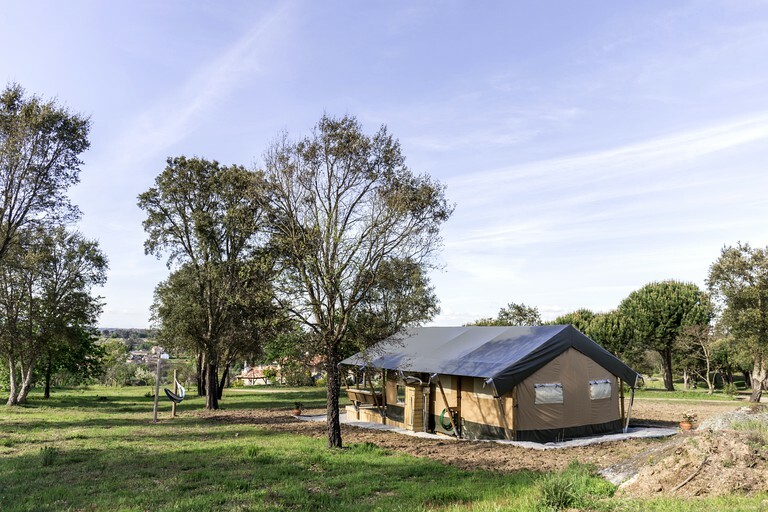 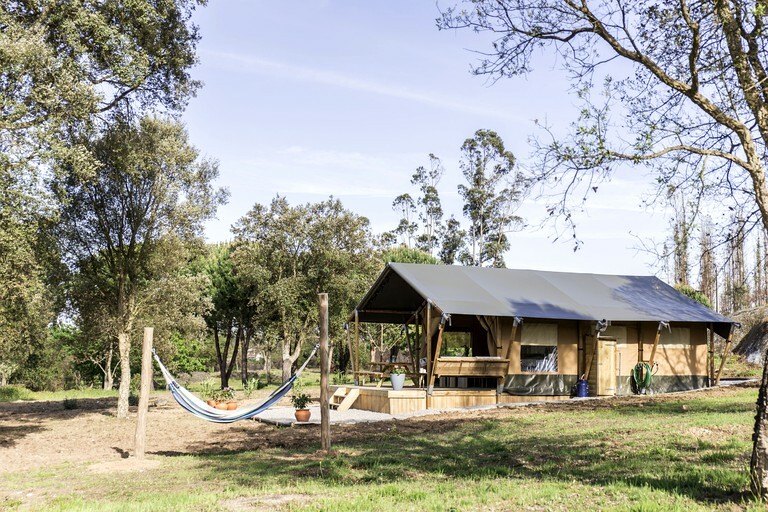 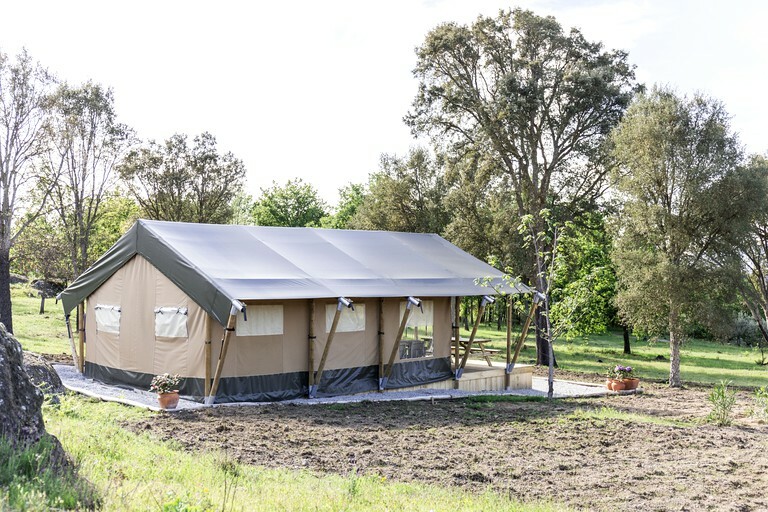 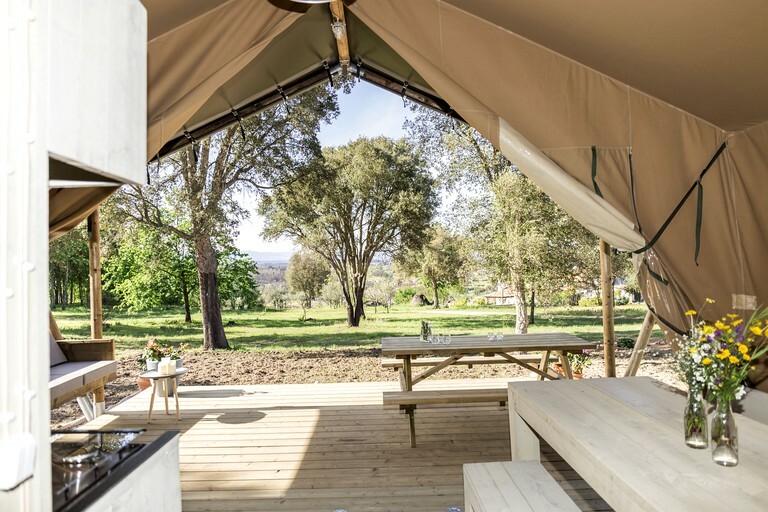 Guests will enjoy a completely unique holiday when staying at this amazing safari tent accommodation near Coimbra, Portugal. 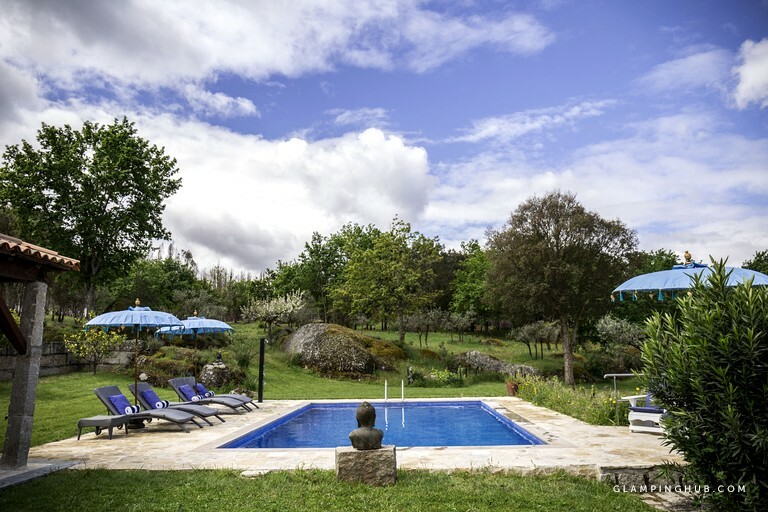 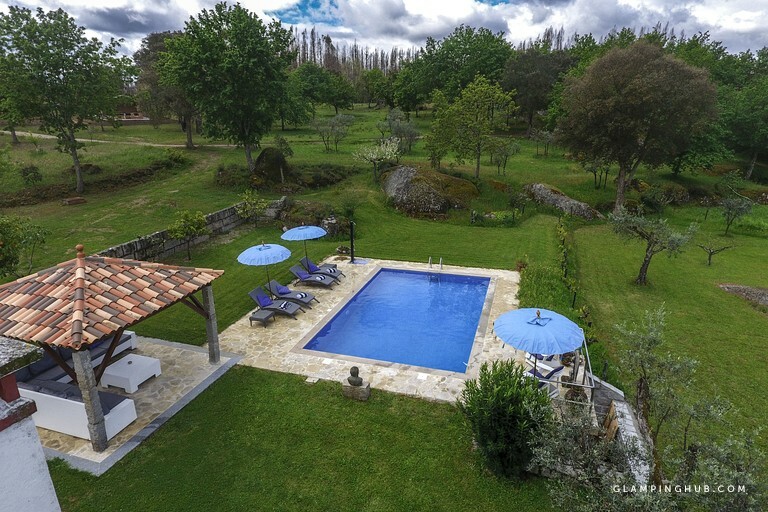 The rental can accommodate up to six people with two bedrooms and has access to a beautiful, shared pool, along with some other fantastic amenities. 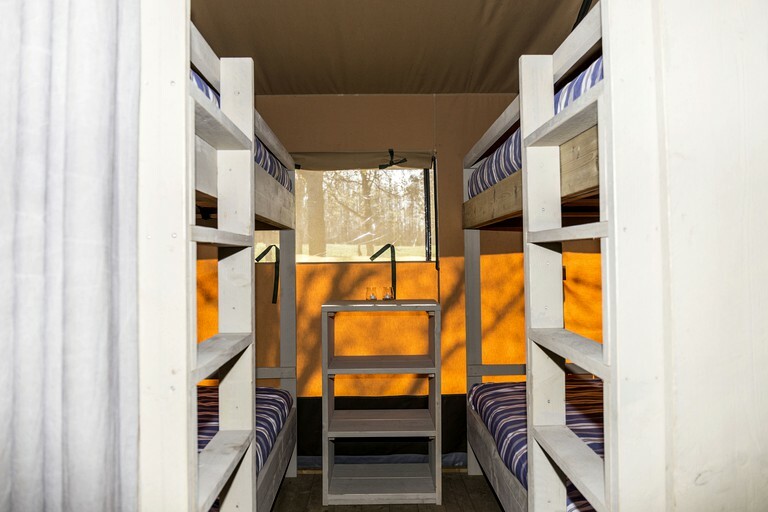 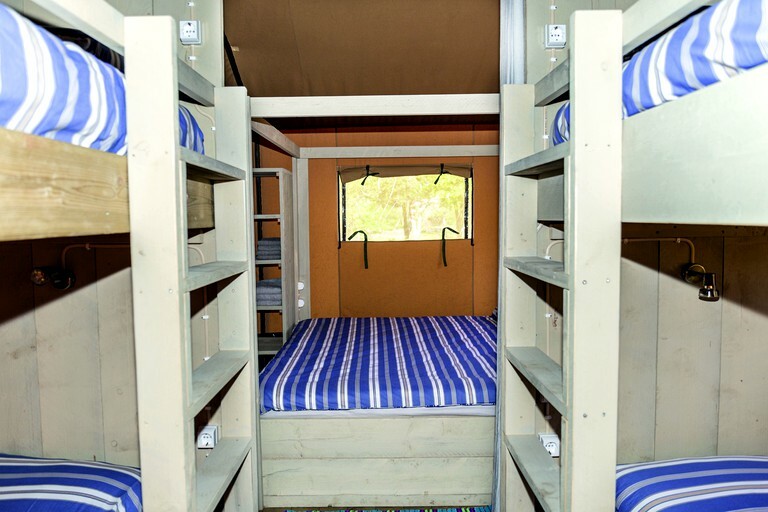 The first bedroom has a double, four-poster bed and the other bedroom features two twin-size bunk beds. 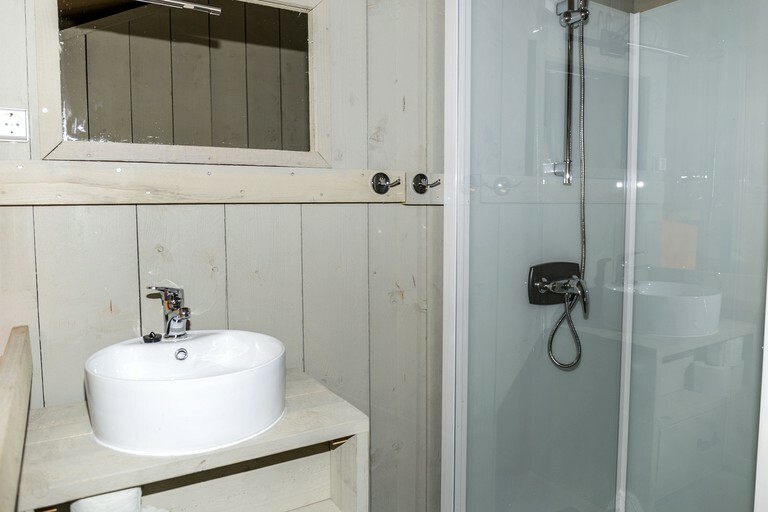 There is a cozy bathroom that has a shower, a toilet, and a sink. 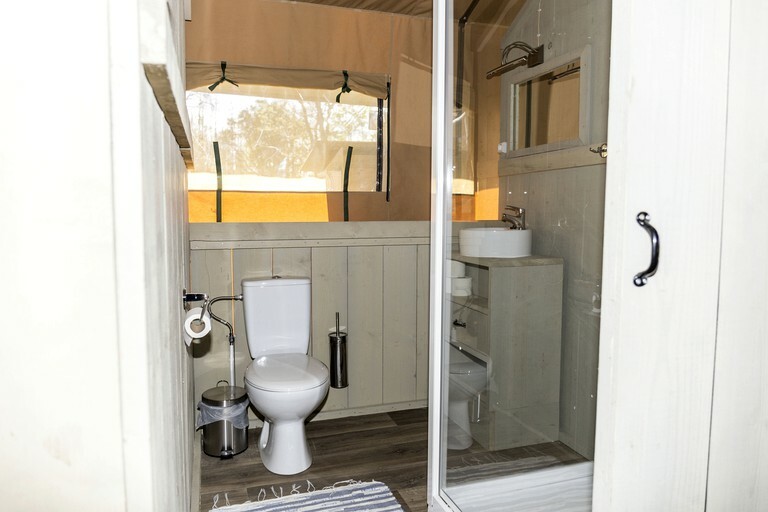 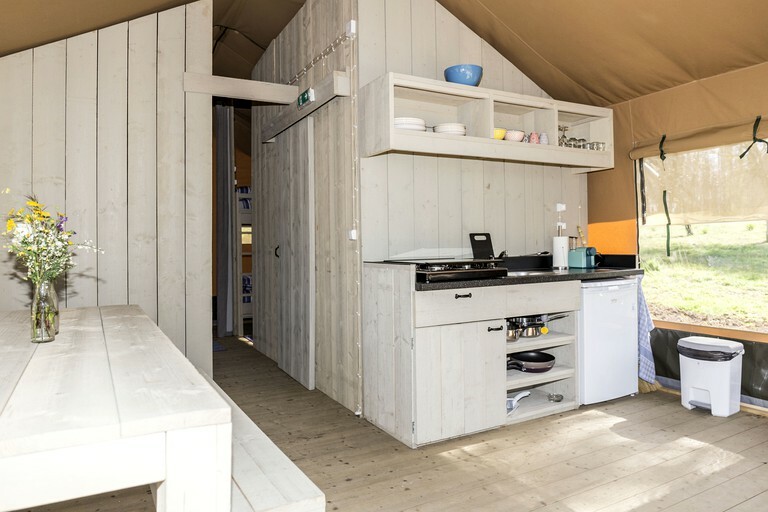 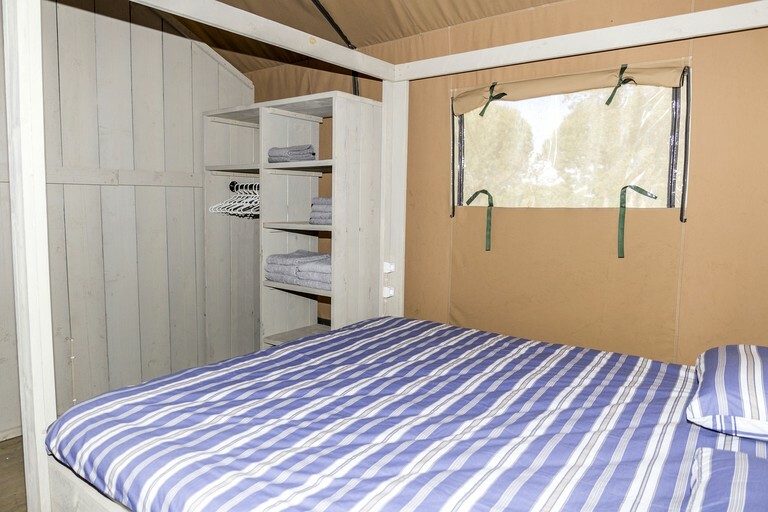 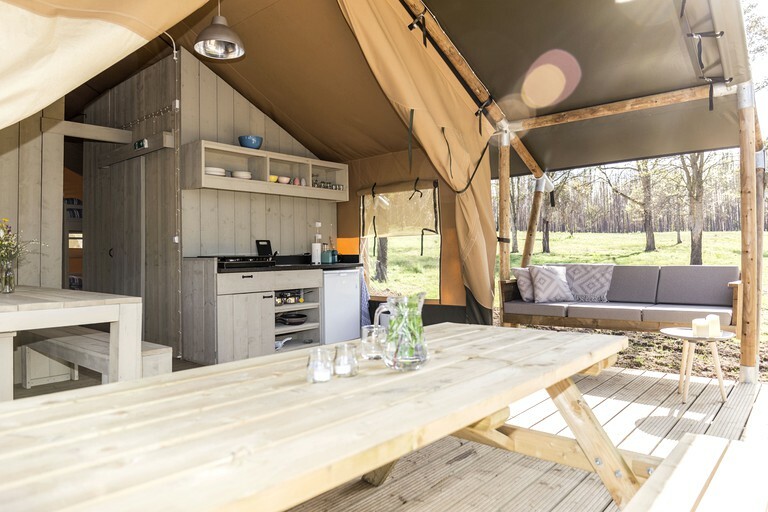 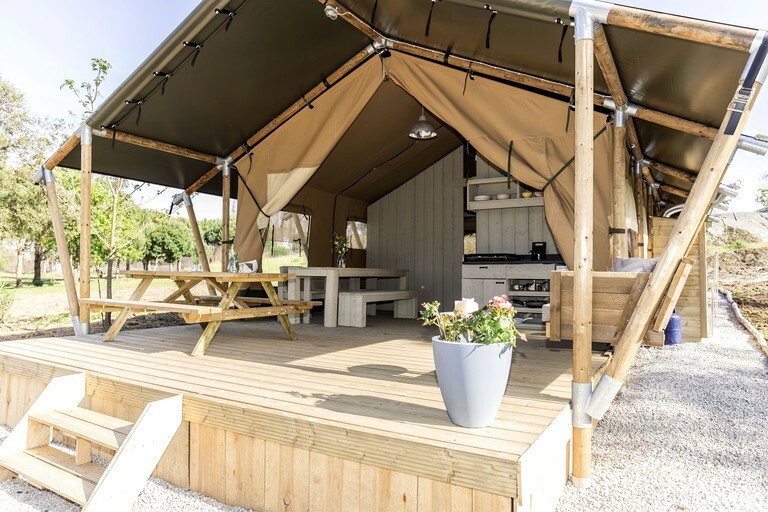 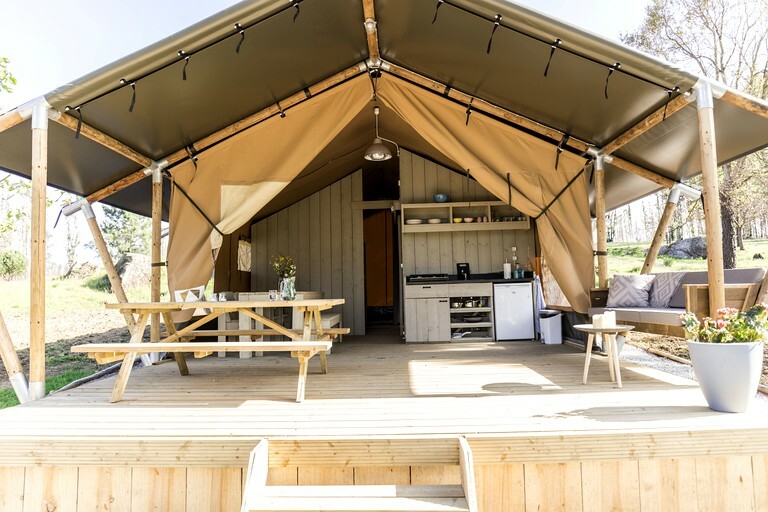 There is also a fully-equipped kitchen in the safari tent in addition to a dining table that seats up to six guests, and it opens up onto the rental's charming deck area.